Alone at the Dental Office in Camden Maine. That’s a scary thought. But not so for Zachary Fowler of Appleton Maine. Zachary Fowler is the big winner in the History Channels’s Alone reality TV Show. Zachary outlasted all the competition in Season Three. Congratulations Zachary! I must admit I haven’t had a chance to watch the show yet; I just need to find a friend that has cable. Alone, No Crew, No Contact, No Help. Anybody have a Time Warner username password they can share? While visiting with Zack and his kids I found out that Zach has a video blog. Check out his youTube Channel here. We value and uphold patient’s privacy, I am usually hesitant asking for a photo on the first visit to the dental office, but when we saw Zach video blogging about his daughter’s first dental visit, I just had to ask. I mentioned that we like to blog too, and we like blogging about dental health and all things related. So I was pretty excited, is it possible that we would be blogging about each other! In case you worry about your privacy, do not fear, we never disclose anything without your permission. 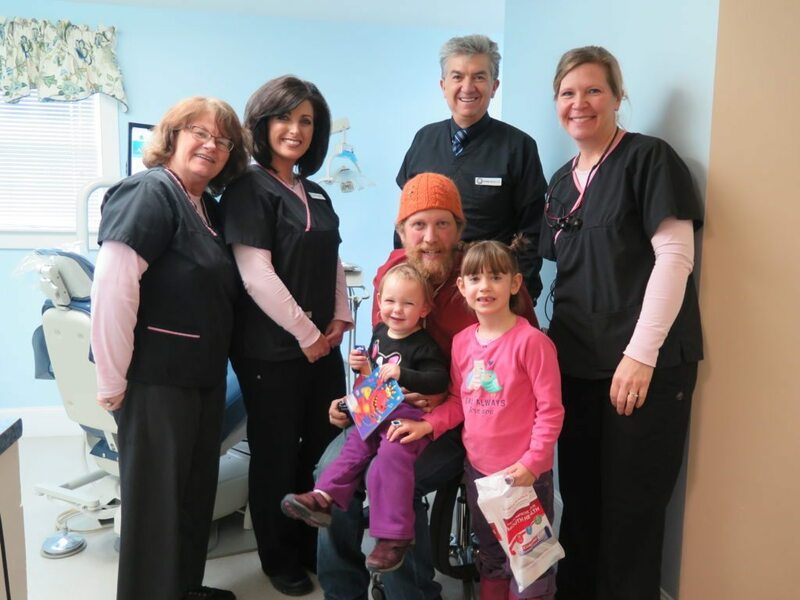 Thank you, Zachary, for letting us take a picture with your family and for reaching out to our office for your families dental needs.